Police have gone into Volkswagen's French headquarters in search of new details about the company's efforts to rig emissions tests. The raid, which the company confirmed on Sunday, is part of the ongoing probe into Volkswagen (VLKAF) spurred by the company's admissions that it tampered with as many as 11 million diesel cars to cheat pollution regulations. European officials are seeking documents and data housed at Volkswagen offices in an attempt to pin down who knew what and when. In the United States, Volkswagen is the subject of a federal government investigation. France is an important European market for VW. On Friday, "police carried out a search at Volkswagen France headquarters," Leslie Pelletier, a spokeswoman for Volkswagen France, told CNN. Pelletier said about 950,000 vehicles in France were fitted with the software that allowed them to cheat emissions tests. Also on Friday, a prosecutor in Verona, Italy, led a raid at Lamborghini's headquarters in Bologna. Lamborghini is a branch of Volkswagen. 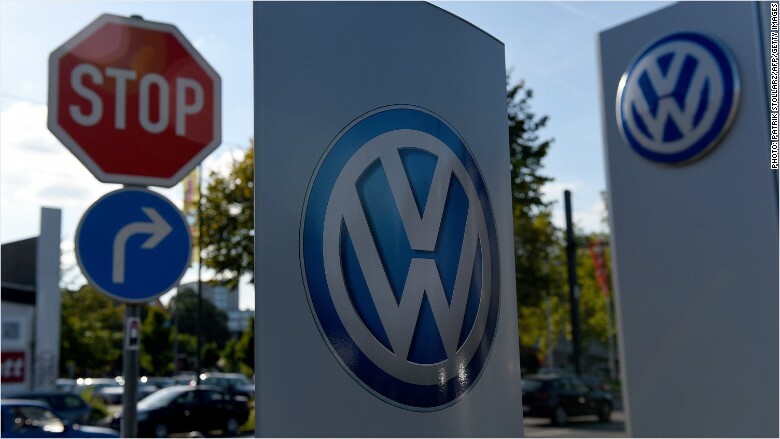 German police also searched Volkswagen Group's primary headquarters in Wolfsburg on October 8. The company's CEO, Martin Winterkorn, stepped down in September. On Saturday, the company cut more ties with Winterkorn when he resigned as chairman of Porsche SE, which is Volkswagen's primary shareholder. --CNN's Margot Haddad and Chris Liakos contributed to this report.